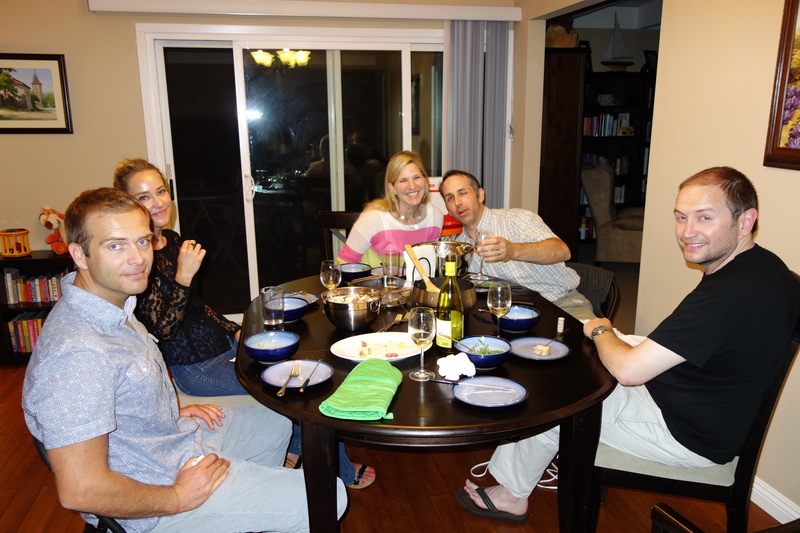 This entry was posted in Food, France, French, French Food, Southern California and tagged chocolate mousse, Cooking, fondue, food, French, French Food, mousse au chocolat, San Diego by A French American Life. Bookmark the permalink. That looks so good, and who cares if you have fondue in May? Sounds like you’ve become a wonderful cook. Did you think about putting up some of your recipes? I also love to cook. I think I need that mousse recipe 🙂 By the way, how’s your French nationality coming along? As for the French nationality, I think we have almost all of the necessary paperwork and tasks completed, so we need to put the package together and send it off! How is the move coming along for you? Your husband sounds wonderful! 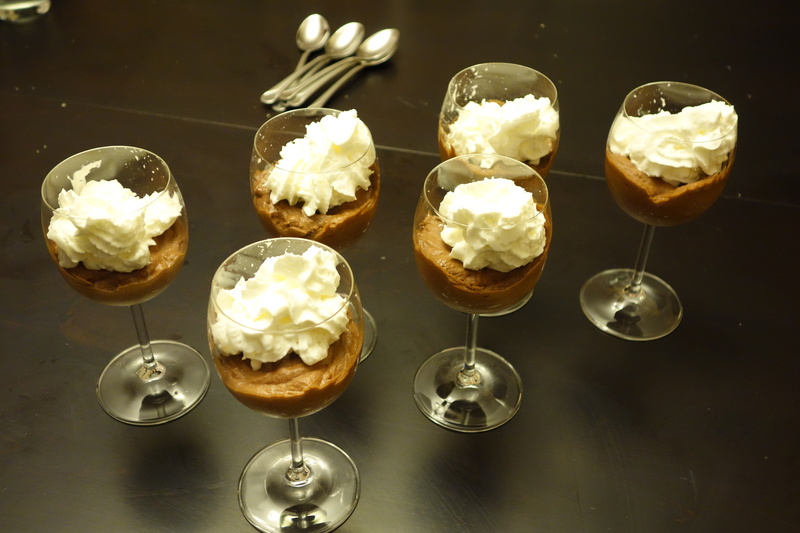 And that mousse looks perfect – I was nervous of it when I tried it for the first time recently, but all that effort and the nerves are worth it for such a delicious result. 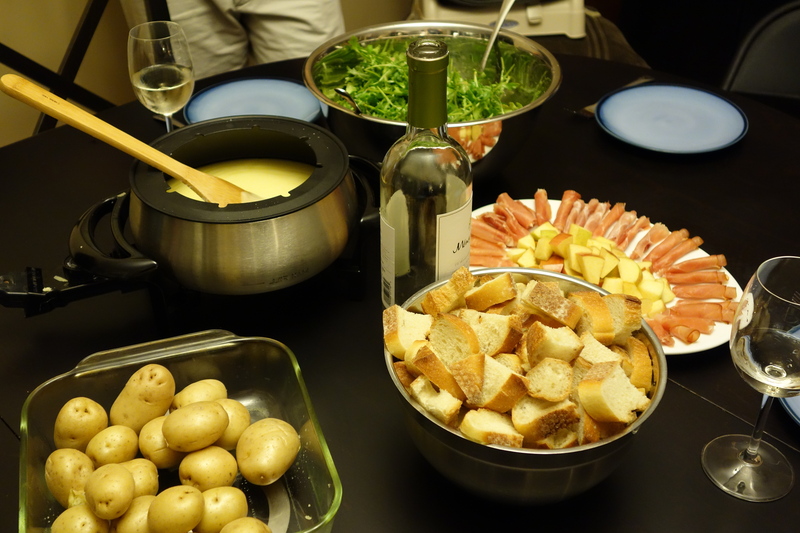 I served “raclette” in August in south west of France… Everything is possible! Thanks a lot for the link, in spite of my french DNA, I’ve never been able to cook an eatable one (but you could have build a house with it…).